Thank you for visiting our website and we hope you find the information helpful. 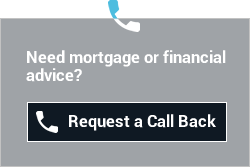 London Finance Solutions is a finance specialist with access to the whole of the market for mortgages and protection. With vast experience and knowledge raising finance for our clients, our advisors can ensure all your funding requirements are met from residential mortgages to large scale commercial lending*. With over 15 years experience within the financial services industry and with specialist advisers for complex cases, our aim is to work with our clients to ensure that they receive the best possible advice for all their financial needs. We believe in building long term and solid relationships with our clients and put a lot of focus into offering our clients that personal service. In today’s climate the service and knowledge from your adviser is priceless! With the right guidance and advice, you can rest assured that the products discussed and recommended to you will ensure that you, your family and your assets are protected. As part of our commitment to you, we will automatically conduct annual reviews to review and address any changes in your circumstances. Why not drop us an email or give us a call for a chat? We are always happy to help.